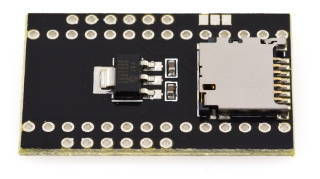 Teensy 3.2, Pins, and WIZ820io or WIZ850io are sold separately. 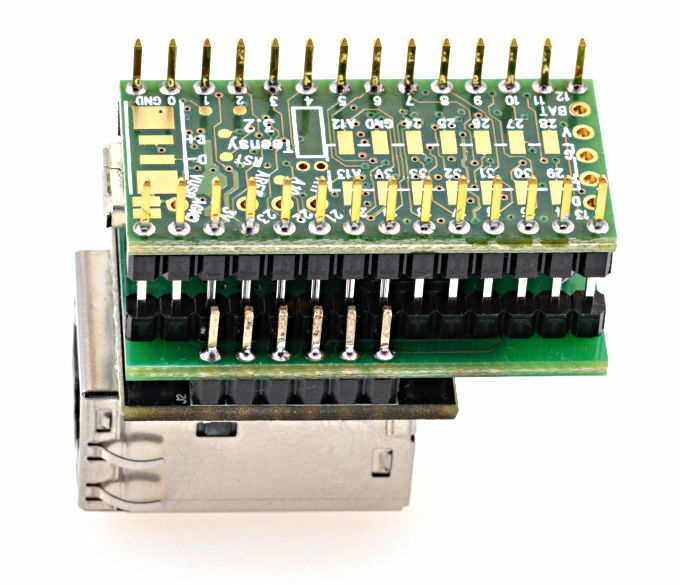 The WIZ820io/WIZ850io can be purchased from Mouser Electronics, Digikey, Saelig and other electronic component distributors. Inexpensive WIZ850io clones can be found on Ebay or Aliexpress. 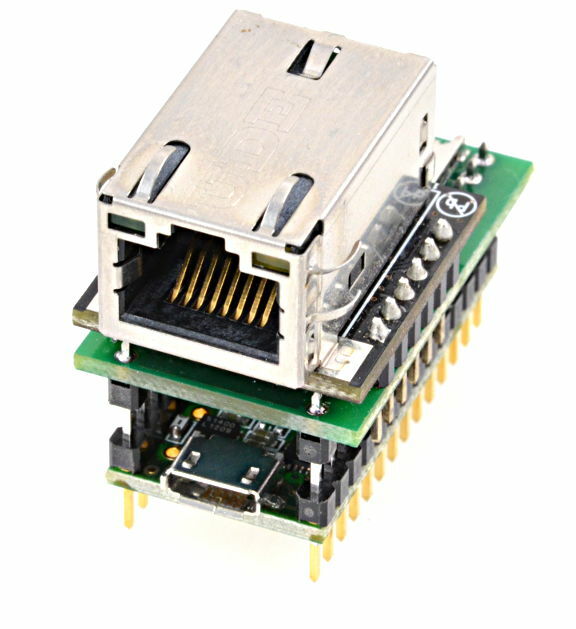 PJRC does not sell the any these ethernet modules. WIZ850io (W5500 chip) should be used for new designs. WIZ850io has all the features of the older WIZ820io (W5200), with lower power consumption, and at lower cost. 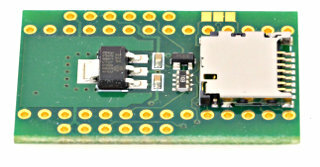 A second revision adds pullup resistors on pins 4, 9 and 10, and a reset chip for the WIZ820io. 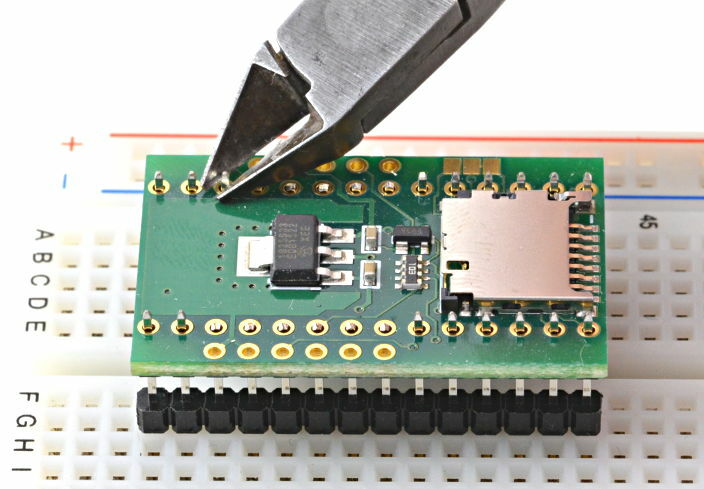 These resistors keep the SD card and WIZ820io/WIZ850io from responding to other SPI communication. 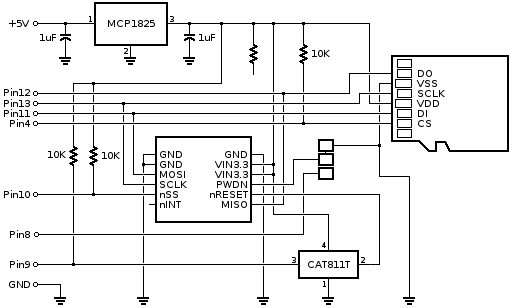 Some WIZ820io can disrupt SPI communication before being reset, even of their chip select pin is pulled high. The new reset chip guarantees proper reset at startup, even if the recommended code below is not used. By default, the center and right side of the jumper pads are connected, which keeps the WIZ820io powered up. 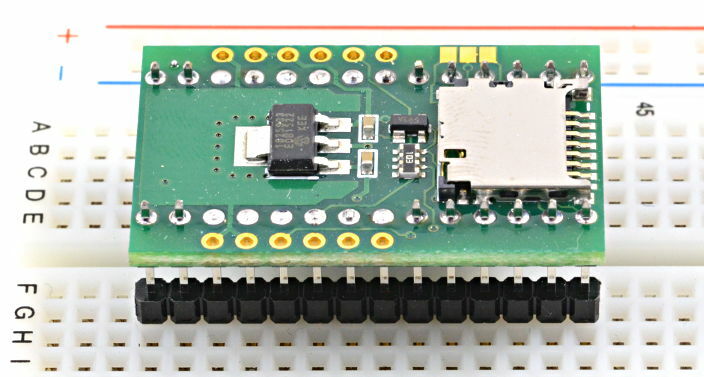 For low power applications, the pads can be cut apart and the left+center joined to allow pin 8 to control the WIZ820io/WIZ850io powerdown feature. 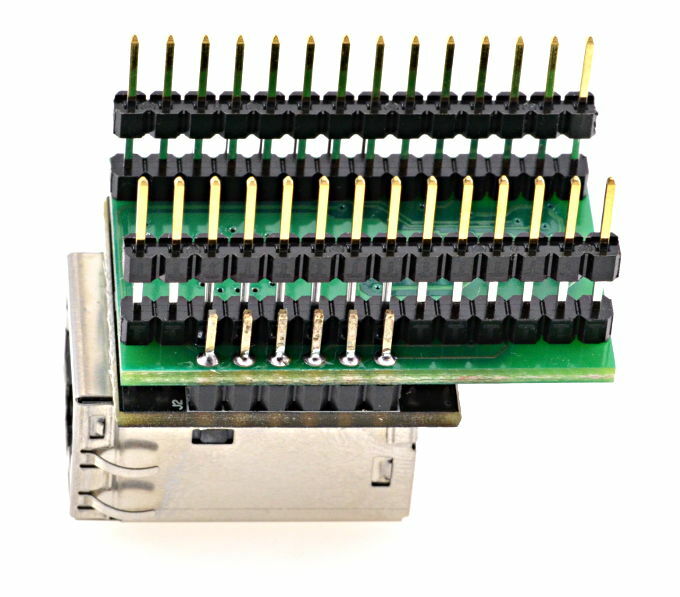 Some SD cards can be sensitive to SPI activity while the Ethernet library is initilized before the SD library. For best compatibility with all SD cards, these 7 lines are recommended at the beginning of setup(). Pins 4, 9, and 10 will be reconfigured and controlled by the SD and Ethernet libraries.